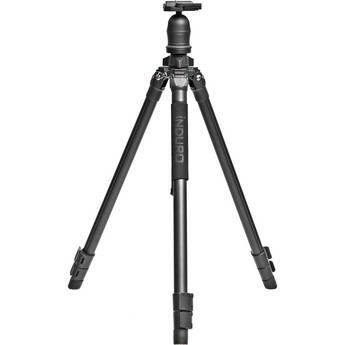 I just decided to buck up and purchase a better tripod and after a lot of research I kept coming back to the Induro AKB2 tripod kit. I found it online marked down from $254 to $181. This includes a ball head. The AKB2 will support up to 18.7 lbs, it weighs only 4.2 lbs and comes with a quick plate and a center column hook to hang your camera bag. It’s not the most expensive thing out there, but I know this thing will last a really long time, it’s come very well reviewed & I won’t baby it too much always worrying about having purchased some ultra-awesome, super expensive Manfrotto. I suppose if I ever became proficient enough I could justify going that route.But for now, this tripod is going to be a great platform. I’ve read online that the name of the game is tack sharp photos with detail. Even during the day, using a tripod can help keep everything tight. If you’ve spent thousands on lenses, a body, filters, etc. why bother potentially getting blurry photos after you’ve gone through the trouble of finding locations, setting up, and hiking only to find your images contain blur?